Lincoln Center Theater (under the direction of Producing Artistic Director, André Bishop) has extended the run of its critically acclaimed production of Rodgers and Hammerstein’s THE KING AND I, directed by Bartlett Sher, indefinitely at the Vivian Beaumont Theater (150 West 65 Street). In addition, the Ambassador Theatre Group and NETworks Presentations LLC will launch a national tour of the Lincoln Center Theater production, which was recently nominated for 9 Tony Awards® including Best Revival of a Musical, in November 2016 in Providence, RI. The National Tour will play multi-week and single week engagements throughout the 2016-17 touring season and beyond. Casting and additional engagements for the tour will be announced at a future date. 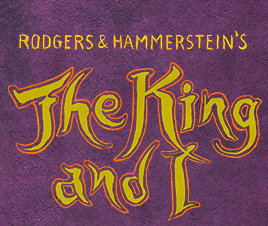 This open-ended run of THE KING AND I is performed Tuesday evenings at 7pm, Wednesday through Saturday evenings at 8pm, with matinees on Wednesday and Saturday at 2pm and Sunday at 3pm. Beginning July 9, all Thursday evening performances will begin at 7pm. Tickets are available at the Lincoln Center Theater box office, at telecharge.com, or by visiting www.thekingandIbroadway.com. THE KING AND I, which features a cast of 51, was recently nominated for 9 Tony Awards® including Best Revival of a Musical, Best Direction of a Musical – Bartlett Sher, Best Actress in a Musical – Kelli O’Hara (Anna Leonowens), Best Actor in a Musical – Ken Watanabe (the King of Siam), Best Featured Actress in a Musical – Ruthie Ann Miles (Lady Thiang), and Best Choreography – Christopher Gattelli, based on the original choreography by Jerome Robbins. THE KING AND I has sets by Michael Yeargan; costumes by Catherine Zuber; lights by Donald Holder (all three nominated as well for 2015 Tony Awards®); sound by Scott Lehrer (2015 Drama Desk Award nomination); and casting by Telsey + Company/Abbie Brady-Dalton, CSA. 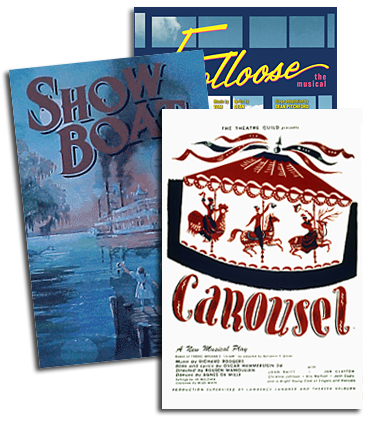 The production, featuring an orchestra of 29 conducted by music director Ted Sperling, is performed with the musical’s original 1951 orchestrations by Robert Russell Bennett and dance and incidental music arranged by Trude Rittmann. 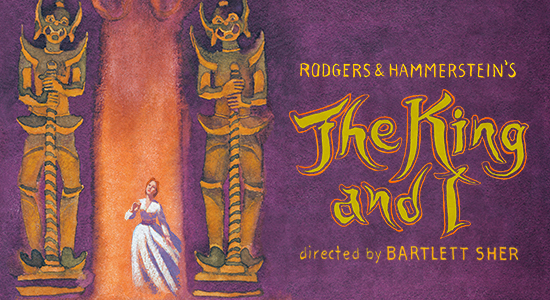 One of Rodgers & Hammerstein’s finest works, THE KING AND I boasts a score which features such beloved classics as "Getting To Know You," "Hello Young Lovers," "Shall We Dance," "I Have Dreamed," and "Something Wonderful." Set in 1860’s Bangkok, the musical tells the story of the unconventional and tempestuous relationship that develops between the King of Siam and Anna Leonowens, a British schoolteacher, whom the imperious King brings to Siam to tutor his many wives and children. Lincoln Center Theater is grateful to the Stacey and Eric Mindich Fund for Musical Theater at LCT for their leading support of this production. American Express and The Jerome L. Greene Foundation are the major sponsors of THE KING AND I. Generous support is also provided by The Blanche and Irving Laurie Foundation, Florence and Robert Kaufman, The New York Community Trust-Mary P. Oenslager Foundation Fund, and Stephanie and Fred Shuman. For more information on Lincoln Center Theater's production of THE KING AND I, CLICK HERE.